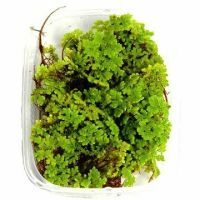 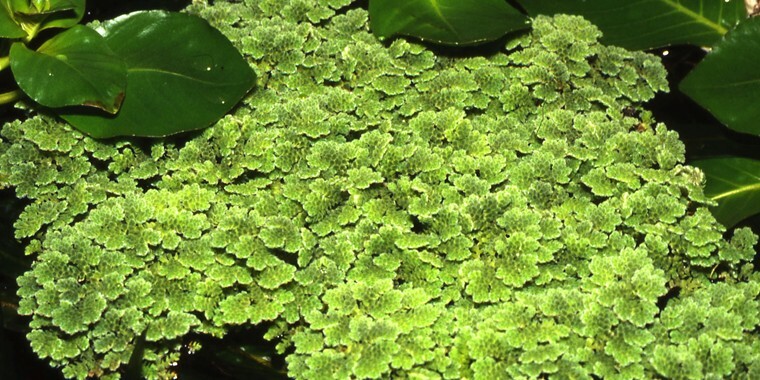 Azolla caroliniana from North America is a small (1-2 cm tall), floating fern housing blue-green algae in its leaves. 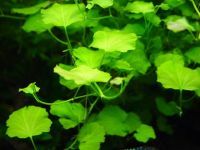 These algae are capable of absorbing nitrogen from the air, which can then be used by the plant. Azolla caroliniana is used as nitrogen fertiliser in rice paddies, and as animal feed. 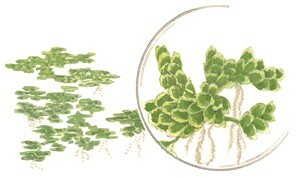 There are several related varieties on the market, with similar appearance. 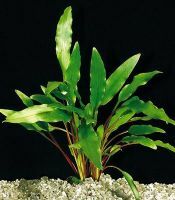 A decorative plant for open aquariums.